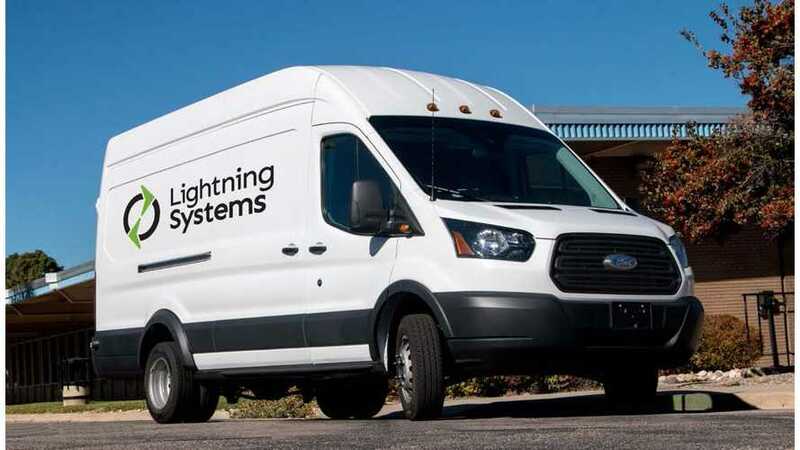 Lightning Systems announced a 150-mile (240 km) electric conversion of the Ford Transit 350HD, on top of the previously available 50-mile and 100-mile versions. The LightningElectric Ford Transit is capable of hauling 4,000 lbs (1,814 kg) of payload and can recharge its batteries in around 90 minutes using a 50 kW DC charger. Sadly, Lightning Systems is silent on battery capacity. As there's still not much choice for OEM electric vans in the U.S., conversions seem to be an interesting option. "The LightningElectric is a battery-electric drivetrain package for the heavy-duty Ford Transit, a product used extensively by commercial and government fleets. 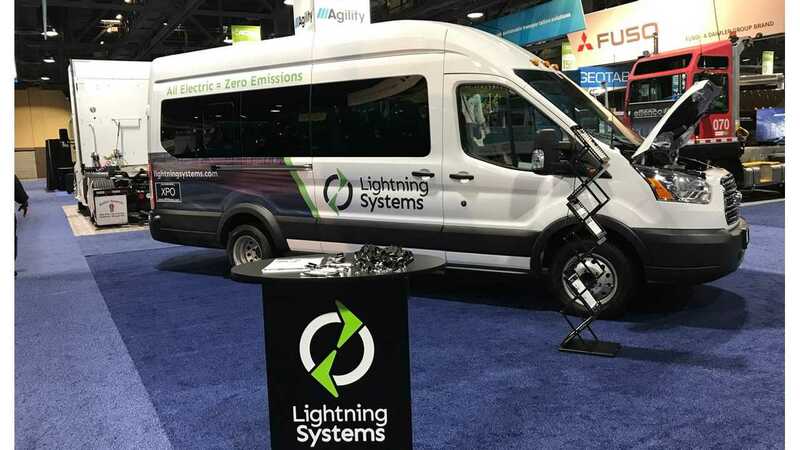 Last month, Lightning announced that in testing, the Ford Transit 350HD equipped with the zero-emissions LightningElectric drivetrain achieved 61 MPGe on EPA City routes and 66 MPGe on EPA Highway routes. This compares to 13 and 15 MPG respectively for the identically configured gasoline Ford Transit 350HD. The testing is a part of the newly released 2018 CARB efficiency and range validation test procedures for medium-duty vehicles." "LightningElectric is available for the Ford Transit as part of Ford’s eQVM program. The product, which went on sale earlier this year, is available for heavy-duty Ford Transits with a 10,360-pound gross vehicle weight rating (GVWR). Ford’s vehicle warranty covers the base chassis for vehicles with the Lightning drivetrain. Ford QVM dealers and upfitters perform installations and service. The all-electric Lightning product features state-of-the-art, liquid-cooled Lithium-Ion batteries from volume-ready world-class battery suppliers. The batteries can be fast-charged in 30 minutes for the 50-mile version and 90 minutes for the 150-mile version. Depending on battery option and drive cycle, LightningElectric has a payload capacity of up to 4,000 pounds."